Appointed as development manager, CIT achieved planning consent for a twin tower mixed-use scheme in 2012. As the development manager for One Nine Elms (formerly Market Towers) in Wandsworth, CIT achieved planning consent for a 750,000 sq.ft. 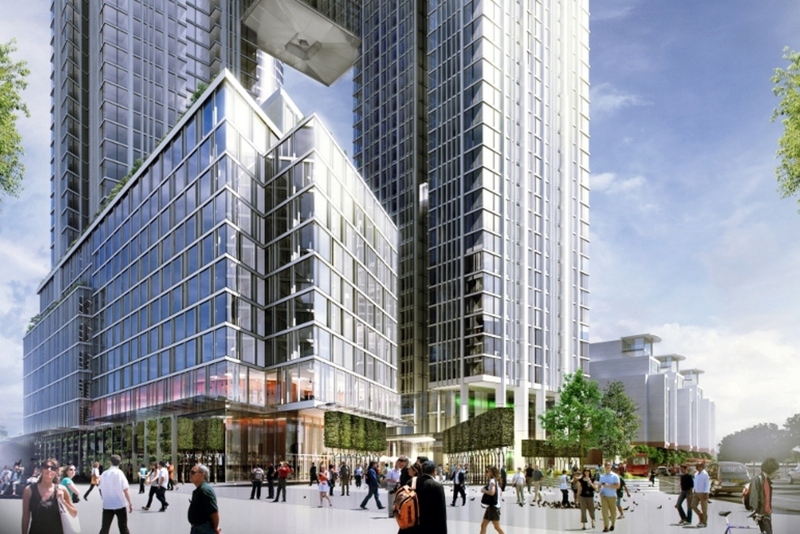 mixed-use scheme within two new striking towers. The consent included 487 private residential apartments (including 51 affordable) a total of 118,252 sq.ft. of office space and a 4-star hotel. A significant portion of the scheme will be dedicated to a new public square accommodating retail and restaurants. The site is at the gateway to the Vauxhall Nine Elms Battersea Opportunity Area, which stretches from Lambeth Bridge to Battersea Power Station and has been earmarked by London’s Mayor for major redevelopment – including 16,000 new homes and 25,000 new jobs. The site was successfully sold to Dalian Wanda in 2013.